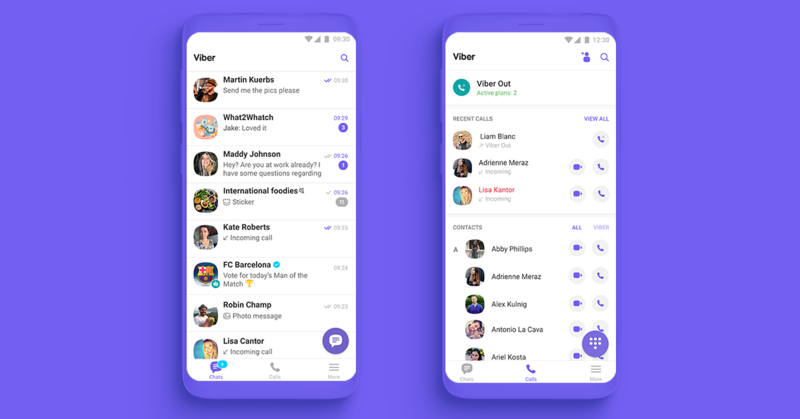 Yesterday, Viber got an update to the version 10.0 that brings a more stable and faster application with a new interface. The Japanese company has promised that they will soon be releasing support for group calls for up to 5 people. The speed of sending messages has been increased up to two times, while voice and video messages have received an update in terms of quality. Thing that we're bound to notice first in the new user interface which is completely white with purple accents. Now you can access all private and group chats, communities and your favorite public contents through the main messages list. There's no more need to switch between different screens. Recent calls and contacts will be in the new Calls tab. You can even check your Viber Out credit on the top of the app. With the new update, Viber has announced a new way of making contact with pulic groups members. This is a secure way through which you can create new friendships with people who share same interests as you. These messages won't show your public numbers. You can update your Viber by visiting your App or Google Play stores, or simply by clicking on this link – Viber 10 Update.